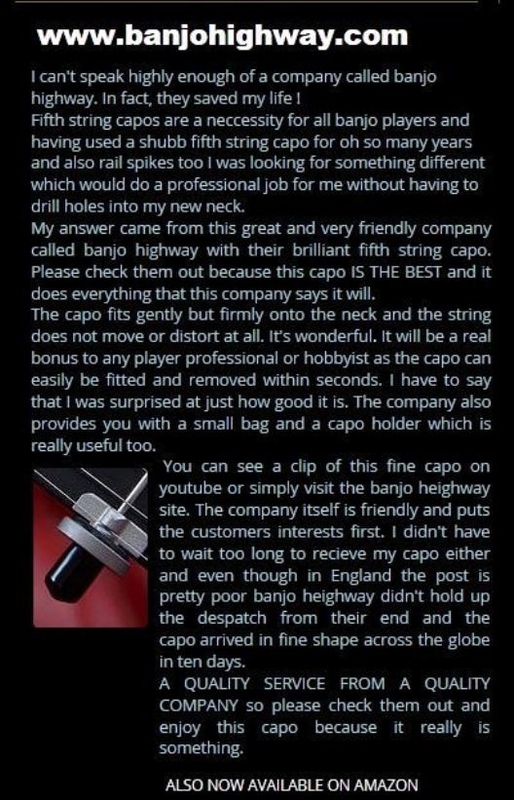 No other fifth string banjo capo sounds like a Banjo Highway capo! 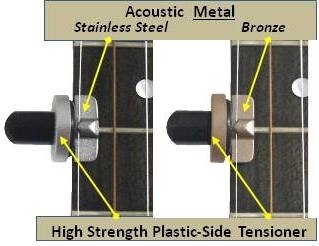 Side-Tension™ for brighter timbre and enhanced sustain. 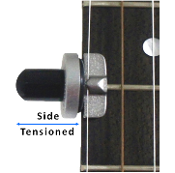 This capo does not require driling of holes anywhere on your banjo. 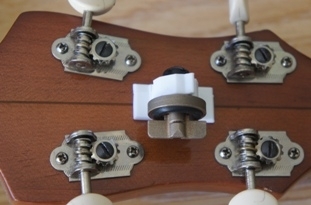 This capo does not hinder the musician's hand when no capo is needed. 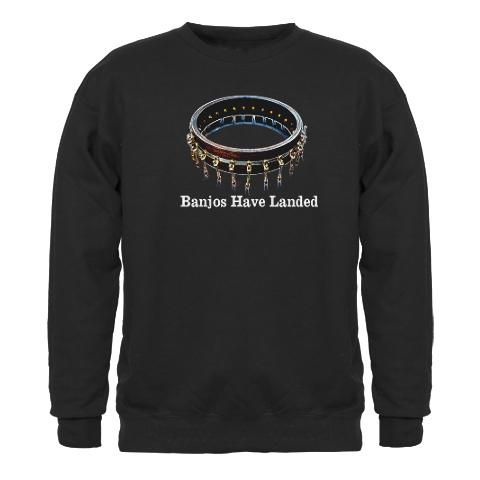 Shipping and Handling added at end of order if applicable.